Huda Fahmy was born in Detroit, MI and attended the University of Michigan where she majored in English and minored in Political Science with hopes of one day becoming a lawyer. She finished one year of law school before shifting to education. 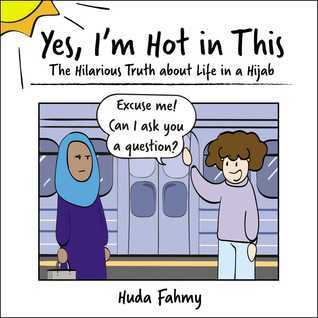 She taught English to middle and high schoolers for eight years before she started writing about her experiences as a visibly Muslim woman in America and was encouraged by her older sister to turn these stories into comics. Huda, her husband Gehad, and their son reside in Houston, Texas.